Vril was designed by G.L. Watson to compete in the highly contested 5 ton class. Enlisting the help of two co-owners who would both help build and campaign her, the trio borrowed a corner of D&W Henderson’s yard (whereBritannia would later be built) to create a yacht that would shake up all preconceptions in yacht design. 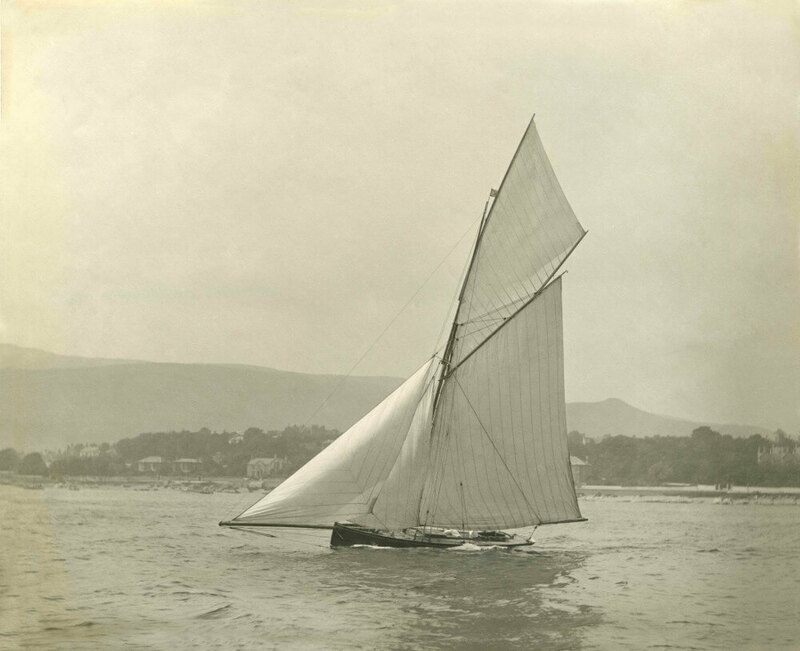 Vril not only had a uniquely high ballast ratio but all her ballast was carried in an external lead keel – design we now regard as conventional, but then a world first. Unlike some of the extreme yachts that others would pen to beat her, Vril was not of extreme shape. Her low centre of gravity was complimented by a very low wetted surface giving her an easily driven and stable form. Her success against rivals drawn by the likes of William Fife proved the new principles upon which she was conceived. Able to carry a large sail area which was nevertheless easily handled, Vril set a standard that changed the future of yacht design. As design number 5 in what was to become a portfolio of 432 yachts, lifeboats and ships, Vril was the launching pad which propelled one of the greatest and most prolific yacht designers of all time to prominence. All believe that she will be exhilarating and rewarding to sail and her original drawings prompt enthusiasm in all who see them. Five-tonners and five-raters in the North by G.L. Blake in Badminton Library – Yachting, 1894. Thanks to the remarkable survival of original drawings, data and her half model, it is possible to accurately re-build Vril – the precursor of all modern racing yachts. Significant research and design work has already been carried out. Construction could either be traditional or in line with more modern boat building methods. Similarly, we have made provisions for a small engine and simple systems.